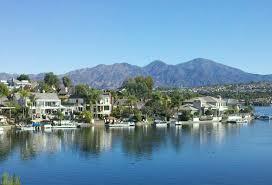 Located in South Orange County in the Saddleback Valley, Mission Viejo‘s population is just over 100,000. As the first successful master-planned community in the Unites States, Mission Viejo has proven to be a major success story. In 2007, it was named the safest city in the US by Morgan Quitno Press, and this mainly residential community features a large number of single-family homes, a community college, a man-made recreational lake, regional hospital, and a popular mall, as well as other shopping and entertainment venues. The history of Mission Viejo goes back a long way — to the friars who came from Mexico in the late 1700s to found the Mission San Juan Capistrano. Although lack of water forced the friars to relocate, the name Mission Viejo bears testimony to this sojourn in the San Juan Canyon more than two hundred years ago. Through land grants and several changes of fortune, in 1907 it became part of the expansive 200,000-acre Rancho Santa Margarita y Las Flores, owned by an Irish cattleman, Richard O’Neill. When the bulk of this vast ranch was sold to the US Department of Defense for the establishment of Camp Pendleton in the 1940s, the O’Neill family settled with the remaining 52,000 acres known as Rancho Mission Viejo, all in Orange County. 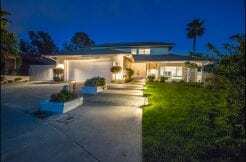 In 1963, the family commissioned a study which led them to develop the first 10,000 acres of their land as the new master-planned community of Mission Viejo. From its conception, the community was designed to incorporate many design elements found in Spain, with adobe brick entrance walls, Spanish street names, unique company and community signs, greenbelts, parks, recreation centers, neighborhood shopping, a large recreation lake and distinctive “Mission Bell” street lights that were meant to remind residents of Mission Viejo’s link to Mission San Juan Capistrano. The idea turned out to be highly successful, and today, fewer than a handful of changes — among them the additions of Saddleback College and Lake Mission Viejo — have been made to those original plans.